Does the insulation in your home or business need to be removed? If so, rely on our team at Attic Pro. Insulation can contain years and years of harmful mold and bacteria, so we do not recommend tackling insulation removal and installation by yourself, even if you are familiar with DIY projects. Instead, leave that job up to the professionals at Attic Pro — all of our technicians are professionally trained and our business is licensed, bonded, and insured. We offer Houston and nearby areas attic clean-up and insulation removal services. 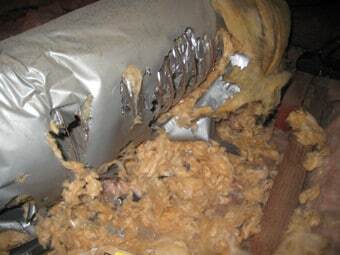 When insulation is too old and damaged, it may need to be removed for your safety. If it is not replaced, it can stop working properly, leaving your home or business vulnerable to harsh weather conditions and contaminants that can be hiding inside. At times, insulation may still be in a salvageable condition, and our honest technicians can assess that for you when you schedule a free inspection. However, most of the time, installation of new insulation is necessary in order to protect your property and your health. With our insulation removal specialists at Attic Pro, you can be confident that the job will be done competently and new insulation will be installed safely for you. We will remove your current insulation and make sure that you will not be affected by harmful bacteria that could be lurking around. Once our job is complete, you will have the right temperature in your home or business no matter what time of the year it is. You deserve to be comfortable in your own property, so please contact us at833-7005959 to schedule a free inspection! We’ll help you save both time and money by providing you with professional attic insulation removal services.